Happy Monday! I hope that everyone is doing well! Tomorrow is St. Patrick's Day and my son is SUPER excited it about for some reason. It's so cute. I will be working, it's just another day. So today I have a different sort of post. This post features a new product from a company that is known for it's hand and nail products. This is the Line Eraser from Barielle! Get a more youthful looking you in only 90 seconds! Barielle Line Eraser quickly corrects the appearance of aging skin, including lines, wrinkles, crow’s feet and under eye puffiness. 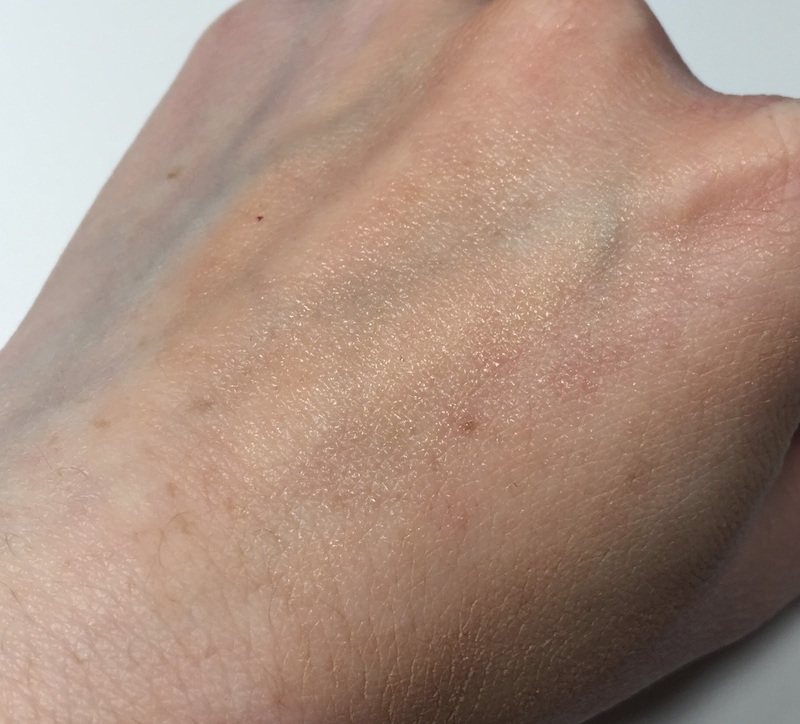 Clinical study shows visible improvements to skin tone and texture – 100% saw improvement! Diminishes look of wrinkles, fine lines, crow’s feet and eye puffiness"
How To Use: For Facial Wrinkles: Apply directly into problem wrinkles on the face. 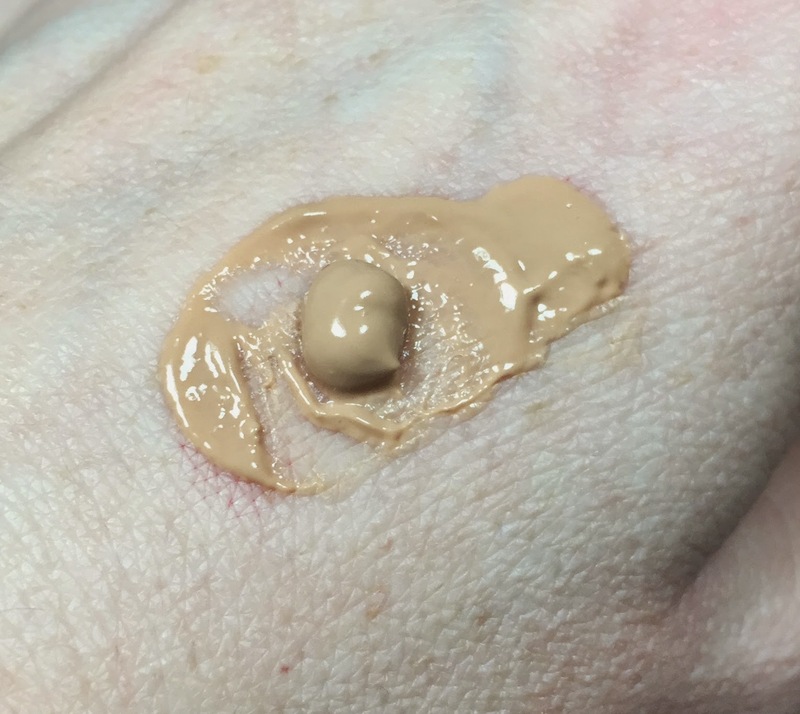 Smooth and dab until absorbed into the skin. Use of mirror is recommended.For Skin Care Around the Eyes: First, dispense Line Eraser onto a fingertip. Then, carefully apply and blend into the area around the eyes. Avoid direct contact with eyes. Full Ingredients: Water (Aqua/Eau), Butylene Glycol, Sodium Silicate, Magnesium Aluminum Silicate, Titanium Dioxide (CI 77891), Iron Oxides (CI 77491, CI 77492, CI 77499), Caprylyl Glycol, Cellulose Gum, Glycerin, Xanthan Gum, Alumina, Hydrolyzed Hyaluronic Acid, Caprylic/Capric Triglyceride, Ammonium Polyacrylate, Silica, Pentylene Glycol, Lecithin, Commiphora Mukul Resin Extract, Alcohol, Ascorbyl Palmitate, Tocopherol, Retinol, Polysorbate 20. Ok, on to the pictures and my opinion! This is how the product comes to you! There is a plastic cap on the end to remove and you need to twist in order to get the pump to operate. The product comes out of this skinny tip. Herein lies the problem....all the promotional materials showed this being a white product that would just blend into the skin. However, when it actually showed up, it is this deep tan color. Which you can see is a no go on me. I did try this on my face, and it does work. However, on me it doesn't look good due to the coloring of my skin. Here you can see where I rubbed it into the skin. It does smooth everything out, but that color! The coloring of this is going to limit the people who can use it. They either need to make it colorless or provide more shade options. I do recommend this, if you think the shade will match you. It's a great product! Nice review. Too bad the color didn't work for you but it sounds really good. 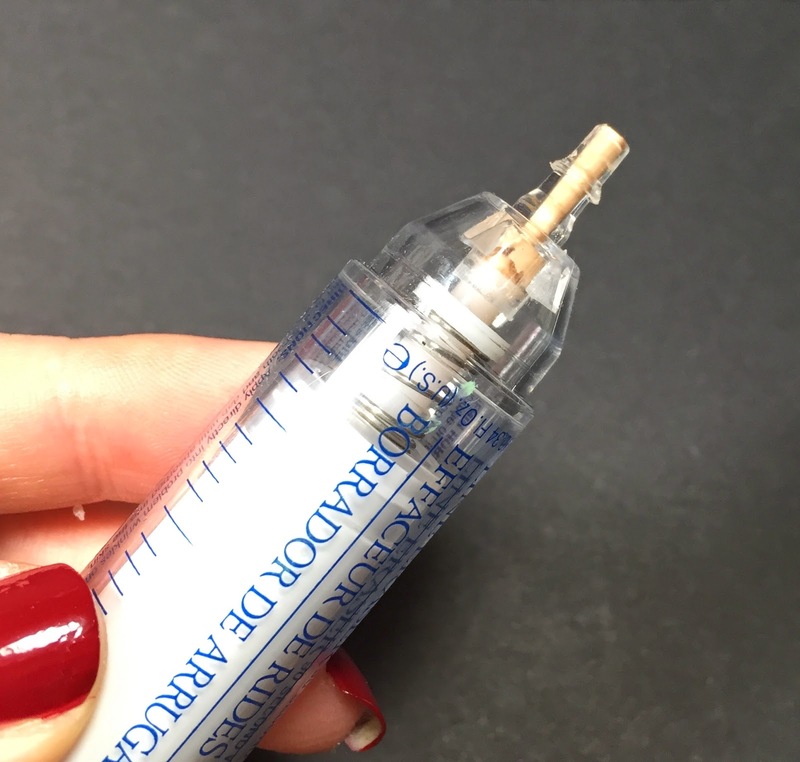 i once tested an anti-age serum that came in a similar syringe tube, and it was really good! except that it was not a reknown brand, and it didn't find its way into the market :/ but it was colourless, really to be applied as a serum.